The new Marijuana documentary “Evergreen: The Road to Legalization in Washington” has received critical acclaim and enthusiastic audience response during its World Premiere last week at the Seattle International Film Festival (SIFF). 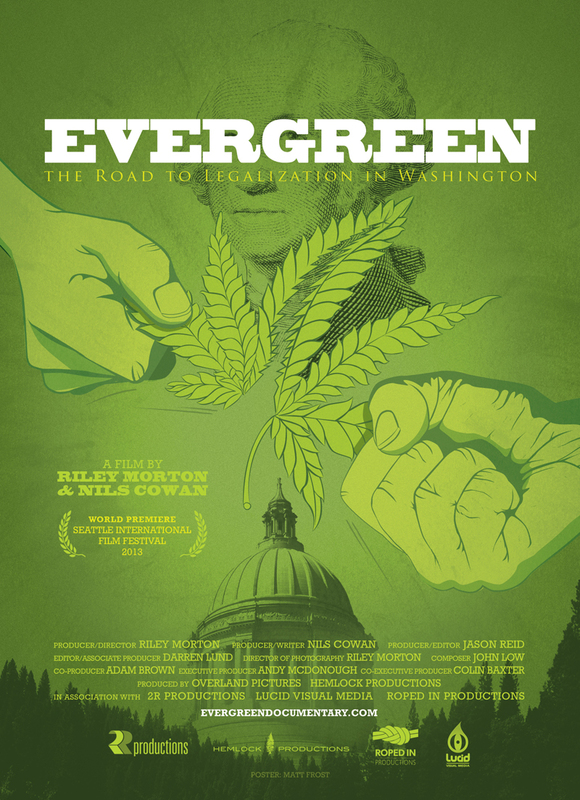 “Evergreen” is a behind-the-scenes examination of Washington State Initiative 502, which legalized recreational marijuana for the first time in America. The 86-minute film shines a light on the heated process that led to I-502’s passage, including the controversial impact of its implementation on the future of United States drug policy. “Evergreen” finished as one of the Top Ten Documentaries screened this year at SIFF, the largest and most well-attended film festival in the United States. The “Evergreen” producers are currently shopping the film for wider distribution as cannabis reform news continues to break daily across the nation. This entry was posted in art, blogosphere, free pamphlet publishing and tagged 1-502, Evergreen, free pamphlet publishing, Marijuana, Washington Marijuana Legalization. Bookmark the permalink. The world crime rate would decrease extremely and the world would be a more peaceful place bc as the citizens of the U.S we should get one privilege to accumulate all of the laws we have all we ask for is some freedom an to be able to free our minds an relax every now an then.